This greeting card has a lovely painted image on the front which has been hand finished with a brightly coloured satin spotty bow and a glass crystal. Each greetings card comes with a quality white envelope and is cellophane wrapped. The inside of the card has been left blank for your own message. 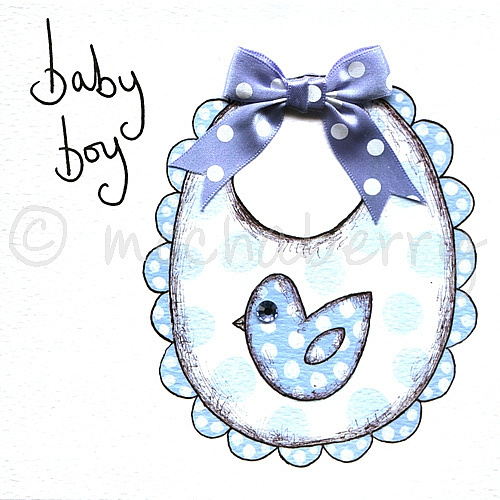 White and blue spotty bib with a pale blue spotty satin bow and a glass crystal, the front of the card reads: baby boy.